Here are a couple of photos of a finished Inga Bag and one in progress. The finished one, I made for my daughter and the multi color and yellow is mine. They’re made from “Peaches and Cream” cotton yarns. This is my first time making these so it’s probably been more of an experiment than anything. There are some really gorgeous bags being made from some beautiful yarns and I hope to go shopping for some very nice yarn and make another for myself. 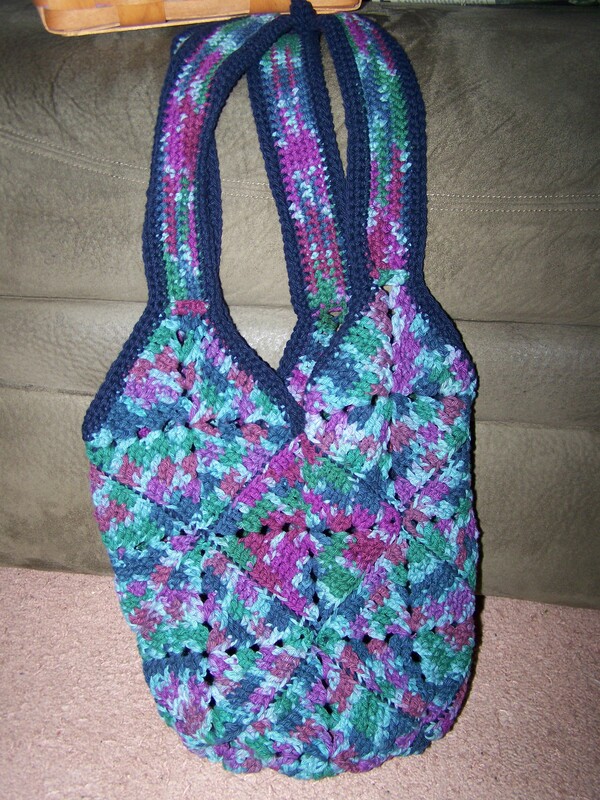 If some of you haven’t seen the Inga bags at various blogs there is a specific block pattern. 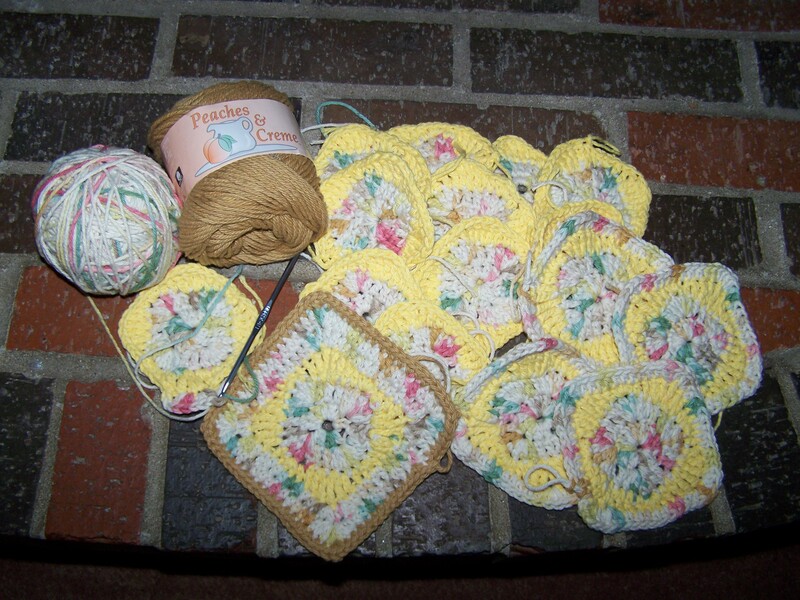 But you could choose another average size Granny Square Pattern for a different look. I did with with the second bag I’m working on. This WIP theme is great. WIP’s are one thing I have plenty of, so I’ll have some things to show this month. I love crocheting. My problem is I keep seeing more things I want to make. I guess with me it’s start five, finish one ad so on and so on for myself. I am also a quilt maker so I have Quilt Wip’s too. A lot of my own crochet and quilting gets put aside this time of year when I start thinking about Christmas gifts. While I work on things for gifts some of my own WIP’s will have to stay that way for a while longer. I LOVE the Inga bag! I’m making one myself at the moment! I saw a really clever idea for lining them, where much like the pattern calls for basically 4 strips sewed up, the person used 4 strips of approximately the same size made out of that printed fleece stuff (but you could use anything really, I saw one with bandanas! ), made a lining in the same way she joined the squares, and then inserted A into B and sewed it up. Clever! !